End of the Line by Nancy Holt. 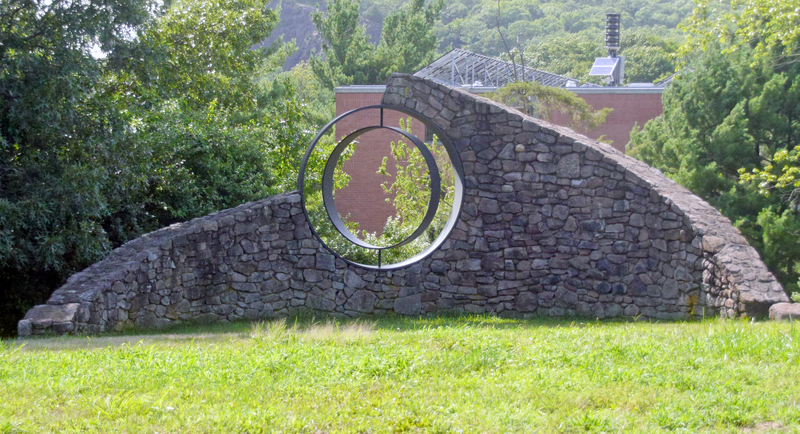 This circular sculpture, hidden near Brownell Residence Hall, enframes the cliffside of West Rock Ridge State Park in its two overlapping circles. The structure was installed in 1985 per completion by the now deceased artist Nancy Holt. The wheel-like structure seems to bring the nature of West Rock right onto campus; thus, combining the natural world with everyday life. 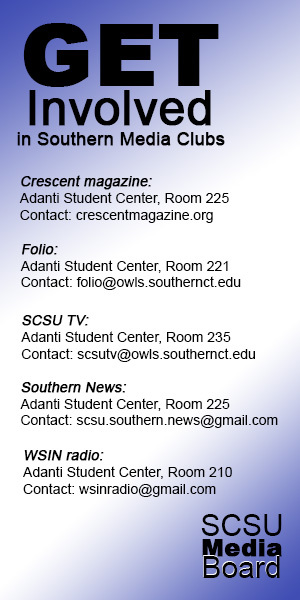 The Owl sculpture on top of Engleman Hall. 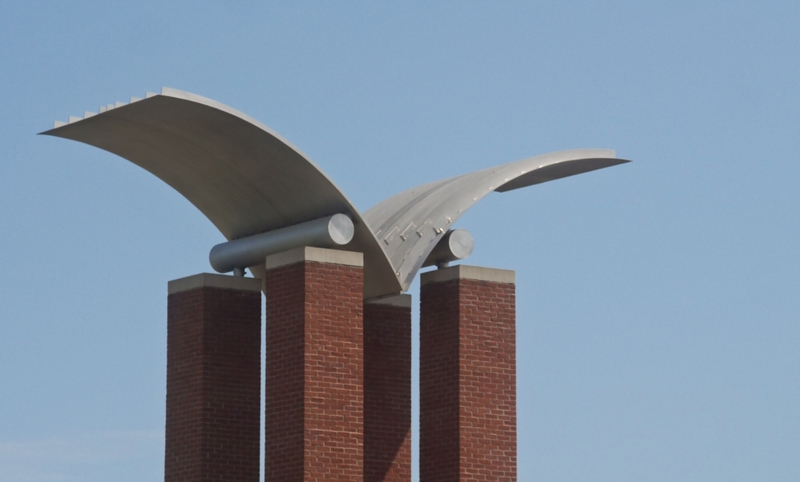 Encompassing the true Southern spirit, the large abstract, metal sculpture perched on top of Engleman Hall—possibly an homage to the university’s mascot or a textbook—can be seen from almost anywhere on campus. The possible shape of an owl’s face can be distinguished via its substaintal cylinder eyes and wide eyebrows resting on top. The sculpture was installed by Newman Architects. Series Metafisica XVII by Herk Van Tongeren. This bronze sculpture, commissioned by the state of Connecticut through the Department of Administrative Services and the Connecticut Commission of the Arts, was installed on campus in 1983. 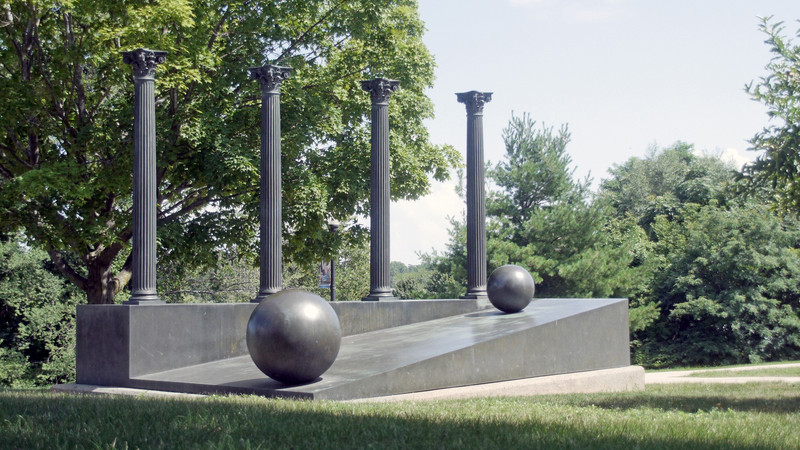 Created by artist Herk Van Tongeren, it features two metal balls—one larger than the other—seemingly about to roll down the slope and off the sculpture. Resting on top of the slope, resides four large Corinthian columns on a platform. The work, whose title translates to “Metaphysical Series”, focuses on the power and energy of geometric shapes, according to the Smithsonian American Art Museum. 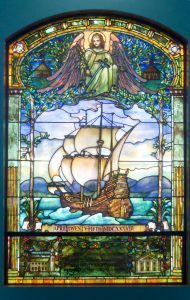 Cascading splintered rainbow colors across the west side of the first floor of the Hilton C. Buley Library, three large scale stained-glass windows add an archaic, Gothic feel to the study space. 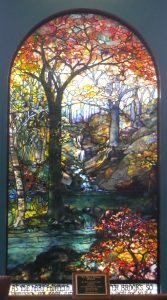 The left and right windows, “Hector” and “The Water Brooks,” were created by Tiffany Studios. 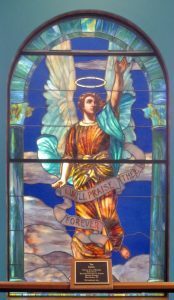 The center window, “The Angel,” is a Tiffany-style window. All three were donated by the First Church of Christ Center Church in New Haven. 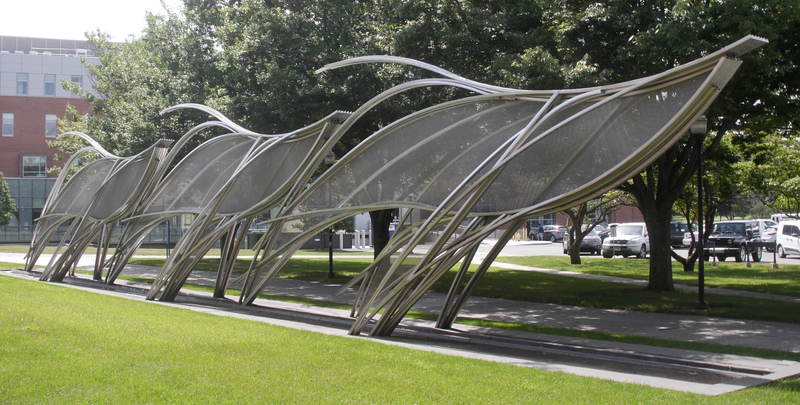 Stretching across the Fitch Street-side of Engleman Hall flows this wave-like sculpture by architect Mikyoung Kim. 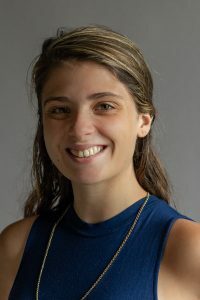 The work, which is about 16 feet high and stretches 82 feet long, was commissioned by Connecticut’s Department of Public Works and the Connecticut Commission on Culture and Tourism. Dedicated in 2006, the sculpture collects water in its channels, which then drips off onto the ground.